There were (and still are) tons of systems in the game that work under the assumption that there’s just one submarine, so even loading another sub into the level took a lot of rewriting. There’s still a long way to go until a fully functional submarine-vs-submarine mode, but adding some sort of small escape/attack vessels might not be that far away. I can imagine the escape vessels now: small pods fit for one (or two) person docked at the bottom/back of the submarine, fitted with a large capacity battery charged from the nuclear reactor’s power. it can be shot out from the submarine to have that powerful starting boost and have the escapee pilot it with a degenerated navigation terminal. could be fitted with some tools for survival under water such as some racked oxygen tanks (which could be sources of ventilation as a substitute for the oxygen generator) or a suit in case the person does not have one already. additionally, the submarine could be fitted with a hatch to swim out of once the pod has run out of temporary battery power. So basically a degenerate (about everything of a submarine) version of a normal ship which, due to that fact, means that if you flood the pod you will not be able to repair it. 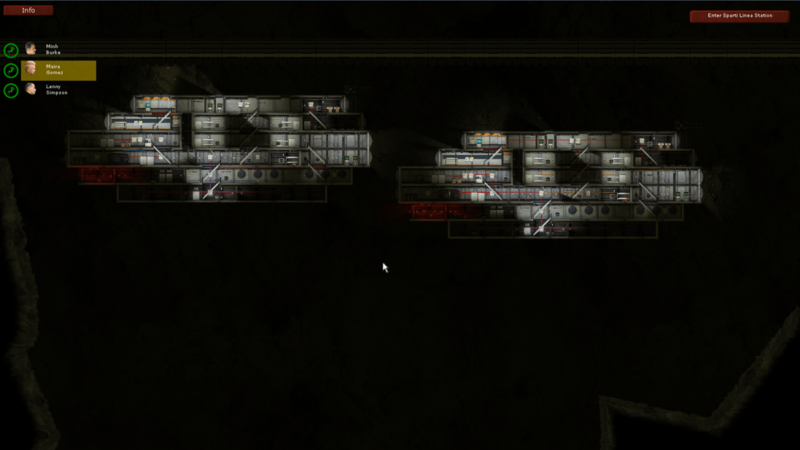 Too be honest, if you think about it, this would be a great way to lower griefing in Barotrauma. Those people usually tend to destroy their own ship but, if this is added, they can destroy another (enemy) ship as a substitute. What’s better for them is that they will not be banned as they are playing the objective. Nice it’s like Police vs Raiders or pirates. but.. i’m think you should to disable colision. And small pods you should to make cuz it’s gonna be amazing. And for pods. How about to make a fuel or electric engine ? And repair system of the engine ? P.S: Da scorpion will come next update ? Do you mean adding some sort of engine that takes in fuel and doesn’t need any external power source? Don’t know about that, it might make things too easy if you wouldn’t have to worry about providing power to the engine. What do you mean by repair system? The engines can already break (although atm only if they’re underwater long enough). About repair system. Just using a special parts. Aaand..Enemy subs with AI NPCS ? Make them looking different like enemy captain have a red uniform. The crew enemies have a badass weapons with clothes. And the enemy sub looking different too. Yep, this is definitely something I want to add in the future. I’m not yet sure how I’ll go about implementing the AI though: operating the submarine isn’t always an easy task even for a human crew, so an NPC crew that can handle it well enough to be a threat to the player would need a pretty complex AI. Of course there’s the option to cheat a bit and make the enemy submarines semi-autonomous and just let the NPCs hang around fixing leaks and whatnot, but I’d rather have them actually be in control. How about to make a special mission like Defeat the Raiders (or pirates). This mission will be available in singleplayer game and multiplayer. Soo.. What do you think about this idea ? Basically the levels of grief will go down since the griefers actually have an objective; To destroy the enemy! AI will most likely be a huge burden, with all those waypoint mess-ups.But fear not, we could have automated enemy subs, with crew fixing stuff and loading weapons. I wouldn’t mind it at all, i mean, *WE ARE IN THE FUTURE*. So, this upcoming update is gonna focus on multiple subs, that’s plain to see, but are there any less glamorus improvements that’ll also be added? Like an improvement to the ship building interface, maybe? Cause I’d really like to CTRL-z CTRL-v some parts of my subs, or fill a cabinet with supplies and save it with a template so I don’t have to always restock them manually. The update will mostly consist of the multi-sub support, networking improvements and miscellaneous bugfixes. The only addition to the submarine editor I’ve done is a search bar which makes finding items a bit easier. Undo/redo functionality and copypasting items/structures are on my todo list though, and at least the latter might still make it to the next update. I would like to suggest that if potassium comes into contact with water, it explodes.